Like The Championships at Wimbledon, the big guns took a beating in the 24th edition of the Gulf Monsoon Scooter Rally on Sunday. The Gulf Oil Corporation sponsored, Sportscraft-organised event saw the emergence of a new champion in Bhopal’s Muzaffar Ali. 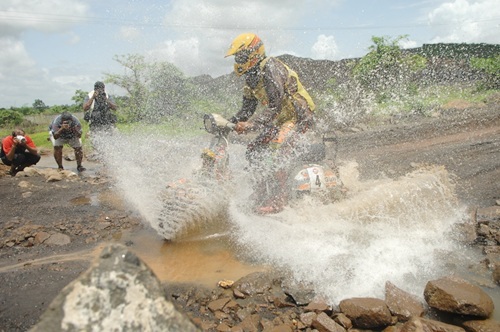 Having placed second last year, the 32-year-old rider went one better, leaving last year’s champion Rustom Patel, and former champions Manjeet Singh Bassan, Avtar Singh and Shamim Khan in the shade as he won the grueling 25 kms challenge over the backwoods of Navi Mumbai with 28 minutes, 50 seconds in penalties. 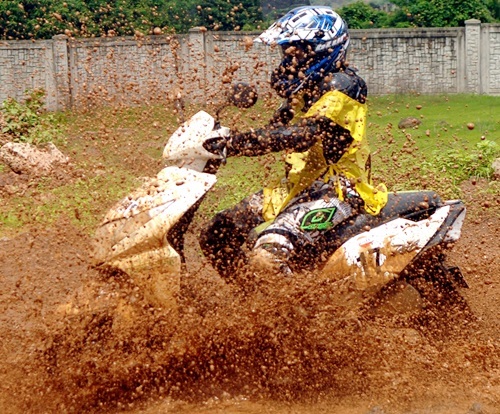 Nasik’s Shamim Khan (Mahindra Rodeo), who was champion in 2003 and ’04, finished second with 0:29.02 seconds in penalties and Bangalore’s R Natraj (TVS Wego) of TVS Racing third with 0:29.08 seconds. Defending champion Patel (Honda Activa) was fourth and 2011 champion Avtar Singh (Honda Activa) fifth. Four-time champion Bassan, who won in 2002, 2005, 2007, 2008, was relegated to a poor sixth. 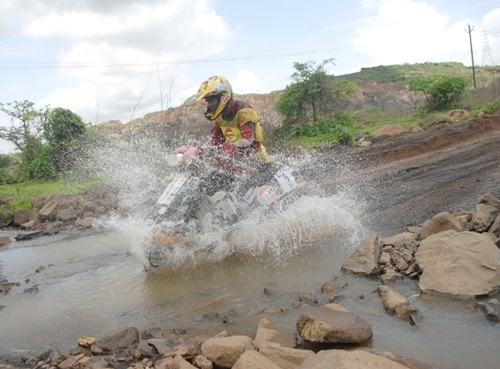 Astride a Suzuki Access, Ali overcame unyielding conditions and a strong field of 38 riders to emerge triumphant. After the riders started from Our Lady’s Home in Parel, South Mumbai, and traveled 35 km on the transport sector, Ali rode with gay abandon over the dirt tracts of the competitive sector to turn tables on the favourites. 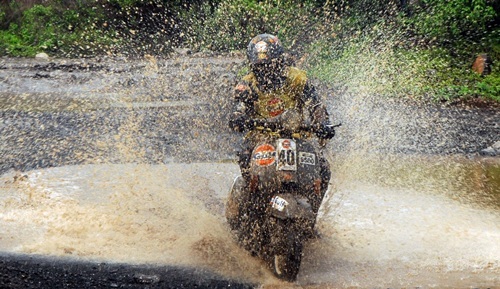 Though it did not rain heavily during the rally, riding on the gravel-laden, slushy course was dicey. The riders had to exercise extreme caution while negotiating the steep inclines and hairpin bends. Practically all of them took a tumble or two and some even damaged their scooters. 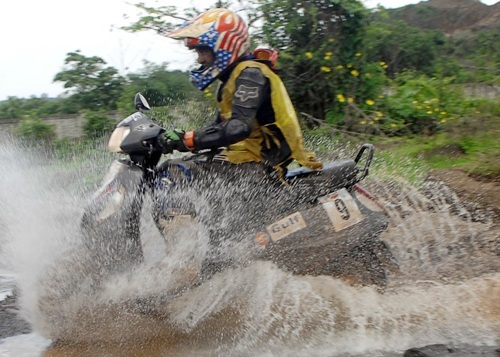 Though it was extremely to ride through the water-logged areas, almost all riders went through the exercise efficiently. Mentioned must be made about Loretta D’Lomen, the only female rider in the fray. She battled over the course, completing the final leg with a flat tyre, to finish with a creditable 1:41.47 seconds in penalties. Dheradhun’s Shradul Sharma, astride a Honda Dio, was adjudged best first timer and awarded the late Firdosh Vajifdar trophy for his spirited riding. Vikramjit Boparai was the best Thane-Navi Mumbai rider.